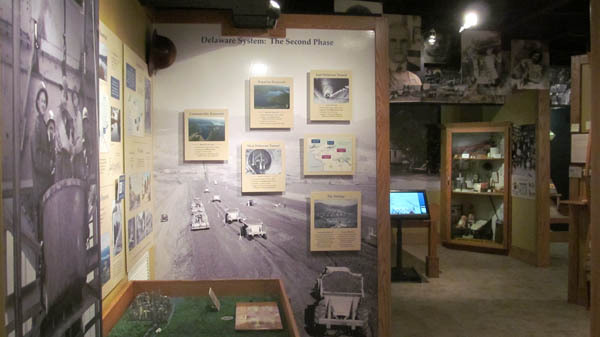 We produce museum displays that are durable and attractive. 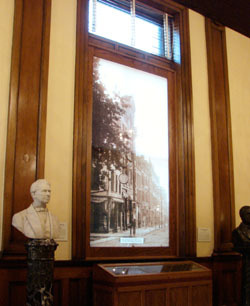 From small local museums to the Smithsonian, we've done exhibits that delight the viewer. 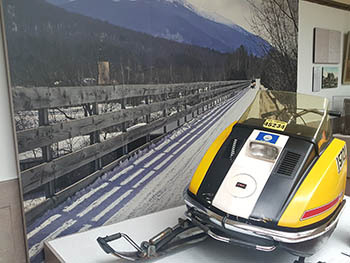 Our museum graphics typically are direct printed with UV inks so they never fade, and we use a display board that remains flat through the seasonal changes in humidity. 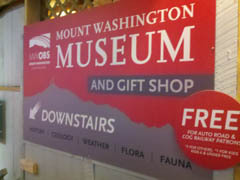 We've also done backlit museum graphics for display in light boxes or tables, and wallpaper to create dramatic backdrops. 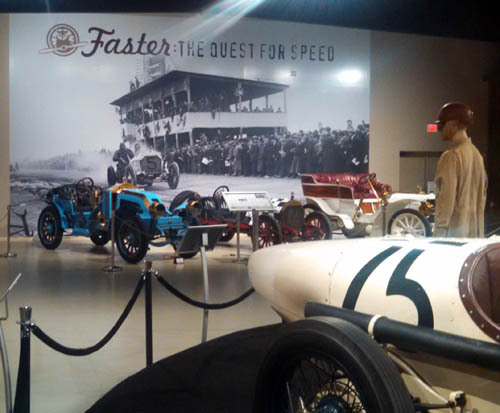 Above, a 26x15' wall mural at the Owls Head Transportation Museum in Maine, with the actual race car in the photo on display in front of it. 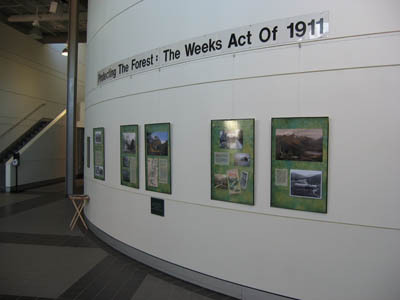 The exhibit below is a display at the Des Moines County Heritage Center, Burlington Iowa, and was designed by Will Thompson of Armadillo Arts. 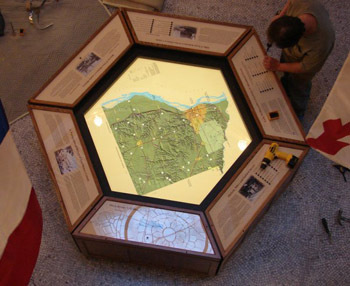 It has a backlit table piece surrounded by six traditional museum display pieces. 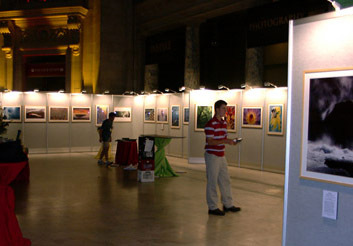 Here our work is on display in the Grand Rotunda of the Smithsonian in Washington, DC. The pictures are from the winners of the Nature's Best Magazine annual photo contest winners. In this case, we printed the photos and mounted on gator board, and the customer put the photos into their frames. 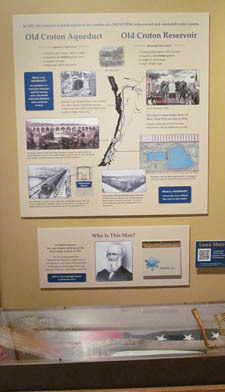 Here's a wall mural, from the New Hampshire Historical Society. The mural creates a background for an actual snowmobile, which was a heckuva thing to get up the stairs, they tell us! would have today, except 100 years ago. 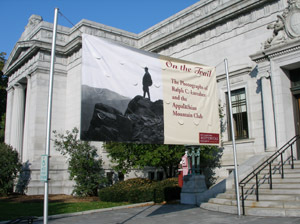 an exhibit of nature photographer Ralph Larrabee. and then augmented it with smaller display board pieces. We can print your directional signage too! 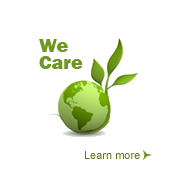 We have computer cutting capability to cut shapes that add interest.